Should Motorcycle Helmets Be Optional? There are presently two bills before the Massachusetts Legislature to make motorcycle helmets optional. The Transportation Committee is considering a proposal filed in the state senate that would exempt riders over the age of 21 from the helmet mandate and a bill filed in the Massachusetts House to permit those over 18 years old to ride without a helmet if they had completed a safety course. Advocates for motorcyclists’ rights have framed helmet choice as a freedom of choice and economic argument. As reported in the Boston Globe, Paul Cote, an advocate of motorcyclist rights testified before the Transportation Committee that there are 30 states in which helmets are optional and more than 30,000 riders leave the state each weekend for neighboring destinations where helmets are not mandated. Supporters of the existing mandatory helmet law point out that helmets reduce death, traumatic brain injuries and facial injuries along with the very high cost of medical treatment. According to B.J. Williams of the Brain Injury Association of Massachusetts about 12 billion dollars was spent in the United States during the past year for the treatment of head injuries and that helmets have been proven to reduce head injuries by almost 70%. The U.S. Department of Transportation, National Highway Traffic Safety Administration (NHTSA) in its October 2009 study reported findings as follows motorcycle fatalities decreased by more than 35% after enactment of Maryland’s mandatory helmet law; unhelmeted motorcyclists were nearly twice as likely to suffer head and face injuries and significantly more likely to experience traumatic brain injuries compared to helmeted riders; and motorcyclists with TBI had significantly higher hospital bills and were more likely to require rehab or long term facilities following hospital discharge. Despite the scientific data showing increased head injury and death associated with riding without helmets NHTSA found 6 states have repealed or weakened mandatory helmet laws since 1995 and a weakening of helmet laws corresponds with lower usage of helmets. The Centers For Disease Control (CDC) found that the implementation of universal helmet law in California in 1992 increased helmet use to 99% from only 50% in 1991 and the corresponding reduction in deaths was 37% during that same year. In comparison Florida in 2000 legislated an exemption for motorcyclists over 21 years old with medical coverage of at least $10,000.00 dollars and NHTSA found that the Florida motorcycle deaths increased 21 % the year following the change in the helmet law. According to the NHTSA, the data suggests helmet laws that exempt certain populations are difficult to enforce and less effective than universal helmet laws at reducing crash related deaths. The Massachusetts legislature should carefully consider the increased medical costs and serious safety concerns associated with exempting any motorcyclists from the existing helmet law. Jonathan D. Light, P.C. has represented individuals and their families who have been seriously or fatally injured as a result of negligence or recklessness. 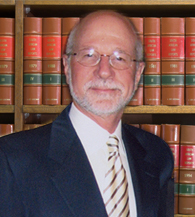 For more than 35 years, Attorney Light has been securing favorable settlements and awards on behalf of his clients. He has been recognized by his peers for his exceptional legal ability and high ethical standards and has been awarded the prestigious AV® Preeminent™ Peer Review RatingSM from Martindale-Hubbell®. It is the highest rating for legal ability and ethical standards based on a strenuous peer review process. If you have been injured or lost a loved one in a car, truck, motorcycle, pedestrian or bicycle accident, call 617-245-0220 or email a Boston motorcycle accident law firm of Jonathan D. Light, P.C. to schedule your free initial consultation. The firm serves clients in Boston and throughout Massachusetts.